Design, documentation and construction of 1,100 sq. metres of office space at Level 3, 367 Collins St, high end front of house finishes to reception, waiting, meeting rooms, 20 offices, 65 workstations, 2 hour fire rated communication with specialized fire protection equipment, specialized built in joinery, loose furniture and supplementary air conditioning. This project was completed on time and complete in every detail. Design, documentation and construction of 1,100 sq. metres of office space at Level 18, 367 Collins St, 19 offices, 65 workstation, 50 seater trading room with high tech audio visual equipment and displays for “online betting”, 2 hour fire rated communication room with specialized fire protection equipment, specialized loose furniture and supplementary air conditioning. Re-construction of 550 sq. 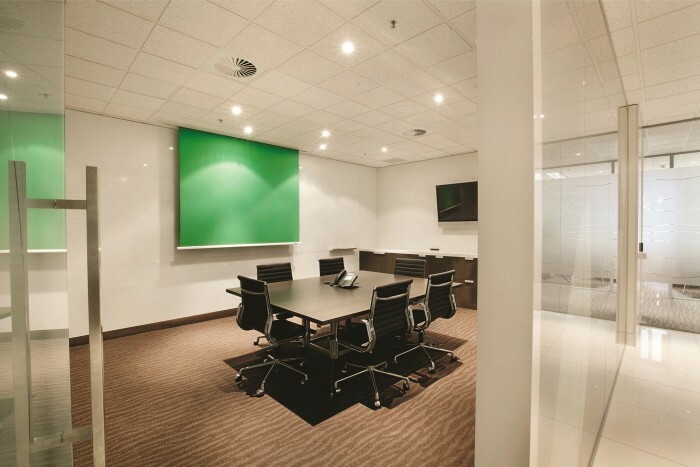 metres of office space at level 30, 367 Collins St, 12 offices, 35 workstations and supplementary air conditioning. Sportsbet has just occupied another 400 sq. metres of office space at Level 26, 367 Collins St.